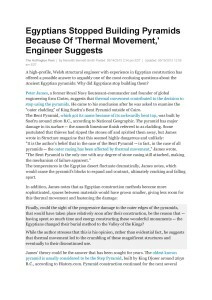 A high-profile, Welsh structural engineer with experience in Egyptian construction has offered a possible answer to arguably one of the most confusing questions about the Ancient Egyptian pyramids: Why did Egyptians stop building them? 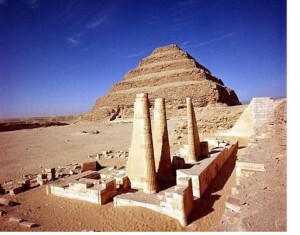 Leading international engineering and preservation firm CINTEC Worldwide has completed a complex restoration project at the Pyramid of Djoser in Egypt. The company was called upon by the High Council of Egyptian Antiquities after the pyramid – which was completed in 27th century BC – was threatened by collapse.